Luxury, comfort & class await you in this MAGNIFICENT Rancho Mirage Equestrian Estate! The sprawling main house offers approx. 5,750 sq. ft. & 4 BD/5 BA of open & bright living space. Equally impressive, the guest house features 1,652 sq. ft. w/ 3 BD/2 BA, fireplace & full kitchen w/ granite counters. Interior features of the main house include: spacious living areas & family room w/ dual sided fireplace & sunken bar, formal dining room, chef's kitchen w/ upscale appliances, granite counters & butler's pantry. The master retreat includes dual walk-in closet, luxurious en suite bathroom w/ jetted tub & walk-in shower, sitting room & 270 fireplace. Step out to your private oasis & revel in the sparkling pool w/ sun shelf, spa & waterfall, built-in BBQ, fireplace, mister & fog systems all framed by lush landscaping. All on a rare 5-acre horse property complete w/ arena, pasture & stables for 4 horses. 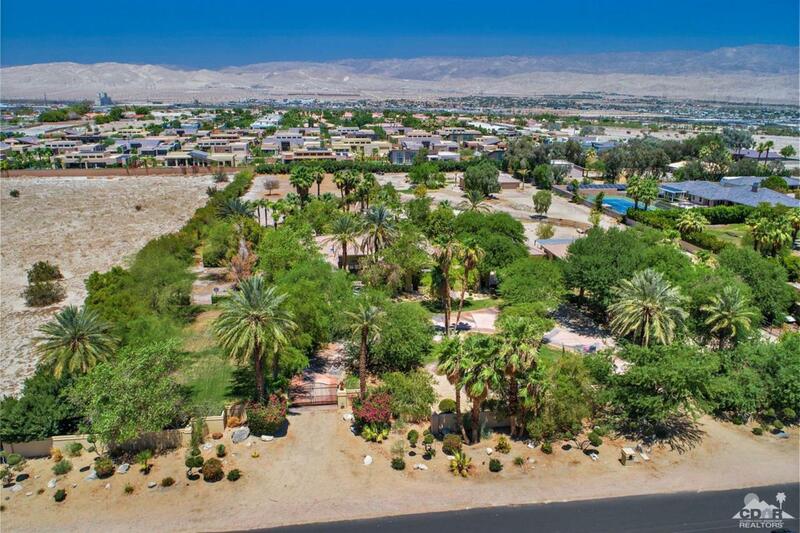 This rare find is ONE-OF-A-KIND & perfectly positioned in exclusive Rancho Mirage.